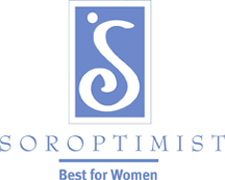 The Soroptimist Club of McMinnville has grant funds available to assist local nonprofit organizations and community members with specific projects that align with the Soroptimist club’s Vision, Mission, and Core Values. Grants generally range from $100 to $2000 and must focus on one or more of the Soroptimist club’s focus areas: Economic & Social Development, Human Rights, Education, Environment, International Goodwill and Understanding. See grants page for more information and instructions for applying. Cash awards for education and other support for women who are supporting families and furthering their education. Follow these links for specific information about qualification and application process.